Fact check: Have UPA-era oil bonds prevented Modi government from reducing oil prices? How much role do the unpaid bills of oil bonds have to play in the current situation? Is the BJP justified in its claims? 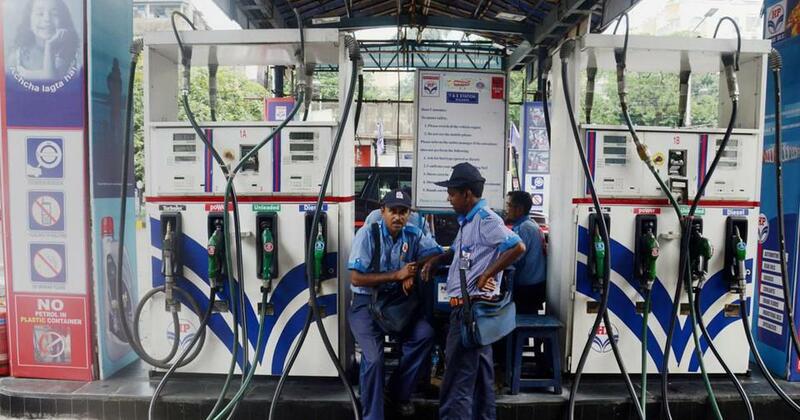 Despite soaring fuel prices with petrol inching towards Rs 90 per litre in Mumbai, the central government has ruled out any cut in excise duties on petroleum products. And as the prices rise, the blame game has escalated. While the Congress party-led opposition is putting pressure on the government to bring down taxes, the ruling Bharatiya Janata Party has blamed the massive bills of oil bonds and subsidies from the Congress-led United Progressive Alliance era for their inability to cut taxes now. The BJP has pointed this out on various platforms. On September 10, the BJP’s official Twitter handle said that Modi government paid off the unpaid bills of oil bonds worth Rs 1.3 lakh crore. Our Govt. pays Rs. 10000 Cr interest for this every year & Oil Companies had to sell these bonds at discounts as there was no takers for these. People save for their future generations but our friends in the UPA burdened the future generations for temporary gains & politicking. So, is the BJP justified in its claims? How much role do the unpaid bills of oil bonds have to play in the current situation? BOOM does a fact check. Out of the Rs 1.44 lakh crore bonds issued by the United Progressive Alliance between 2005 to 2010, only two bonds amounting to Rs 3,500 crore matured during the current government’s term. The next one will mature only in October 2021. BOOM accessed Annexure 6E in the Receipt Budget of 2016-’17, “Special securities issued to oil market companies in lieu of cash subsidy”, which shows that only two bonds/securities have matured during NDA’s term. The outstanding amount of these securities worth Rs 1.3 lakh crore has remained the same since 2014-’15 to 2018-’19 as more securities were not issued. As seen in the Annexure, only two of these securities matured in 2015 and the next lot are scheduled between 2021-2026. When we looked at Annexure 6E in the Receipt Budget of 2017-’18, we found the same result. Click here. The interest on these oil bonds paid by the BJP-led National Democratic Alliance during 2014-’18 amounts to Rs 40,226 crore, said Piyush Goyal in June 2018. The current government had inherited an outstanding bill of Rs 1.3 lakh crore because of oil bonds. And the total payment towards repayment of oil bonds and interest between 2014-’18 amounts to approximately Rs 44,000 crore (Rs 3,500 crore as principal amount and the rest as interest). BOOM sent an email to the office of Petroleum Minister Dharmendra Pradhan to confirm if he was referring to the amount paid or that is due. However, we are yet to receive a reply. Can the government pre-pay these oil bonds or set aside money for these future payments? No, say experts, as it is not feasible in the Indian budgeting system. This is because, “Indian government budgets are prepared based on cash and not accrual basis,” said former oil secretary SC Tripathi to BOOM. “The government will budget for the payment in the year when it is due and not in advance,” Tripathi said. Bonds are issued because you do not have money now, Ranade explained, therefore you borrow from investors or public by issuing bonds. Every year, governments run a deficit and it is financed through bonds. And, usually bonds have long life which could be for 15, 20 or even 30 years. Bonds are an obligation to pay in future. Due to their long life, they are also handed over to successive governments that are obligated to make these payments whenever due. Default in payment can have serious consequences and can lead to a market shock. Thus, between 2005-’10 to keep fiscal deficit under control, the government introduced oil bonds to reimburse oil marketing companies so that domestic fuel prices did not shoot up with soaring crude oil prices. What are oil bonds and was issuing them necessary? Oil bonds are a kind of special securities issued by the government of India to public entities like oil marketing companies, Food Corporation of India and fertiliser companies as a substitute for cash subsidies, according to a Reserve Bank of India report. These bonds are debts that do not reflect in the fiscal deficit in the issuing year as there is no cash flow involved unlike cash subsidies. Unlike government securities, oil bonds are not eligible as statutory liquidity ratio security but can be used as collateral for repo transactions. Oil companies that require liquid cash could sell these in the secondary market to banks and insurance companies that would continue to receive interest from the government. Issuing of oil bonds was adopted only during 2005-’06 to 2009-’10. 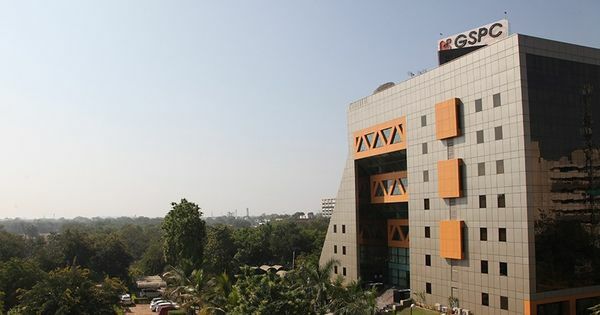 Madan Sabnavis, Chief Economist, Care Ratings Limited, explained it as a way of deferring payments due to the oil companies as the United Progressive Alliance government was cash strapped. The Expert Committee report under Kirit Parikh said the United Progressive Alliance government had issued oil bonds worth Rs 1.4 lakh crore between 2005-’06 to 2008-’09 to compensate oil marketing companies that incurred under-recoveries to the count of Rs 2.9 lakh crore because of high international crude oil prices and the regulation of oil prices by the government. (Under-recoveries are the difference between the price at which the crude oil is purchased internationally and the retail selling price of refined petroleum products). Between 2005-’09, the crude oil prices were showing an upward trend (as the graph below shows), economies were in the midst of the global economic crisis and, most importantly, oil marketing companies were facing huge under recoveries. In this situation of fiscal slippage and cash shortage, the United Progressive Alliance government chose oil bonds as the way to moderate fuel prices. In order to tackle this crisis, the government adopted what it called a burden sharing mechanism of all the stakeholders – the government, the public sector oil companies and the consumers. However, in Budget 2010-’11, the government announced the discontinuation of oil bonds and said that the oil marketing companies would be reimbursed in cash. And, the same year in June 2010, petrol prices were deregulated. Petrol and diesel prices were decontrolled/market determined with effect from June 26, 2010 (under the United Progressive Alliance government) and October 19, 2014 (under the National Democratic Alliance government), respectively. The ruling government has adopted dynamic fuel pricing since June 2017, whereby retail prices change on a daily basis. Taxation on petro products has seen a dramatic increase in the past four years. The ruling BJP-led National Democratic Alliance government had a windfall gain when the crude oil prices went down to as low as $28 per barrel in January 2015. Average crude oil prices were $46/bbl in 2015-’16, $47 /bbl in 2016-’17 and $56/bb in2017-’18. Taxation on fuel prices have seen a constant increase. Central excise on petrol has steeply increased from Rs 9.48/litre in April 2014 to Rs 19.48/litre as of now. In the case of diesel, excise duty has seen a four-times increase from Rs 3.56/litre in April 2014 to Rs 15.53/litre as of now. It cannot be denied that because of low international crude prices since 2014, the Modi government received a windfall gain by consistently raising excise duties and not passing on the benefit to the end consumer. The petroleum sector contributed Rs 18 lakh crore to the exchequer between 2014-’15 to 2017-’18 through taxes and dividends, according to data from Petroleum Planning and Analysis Cell. Of which Rs 11 lakh crore went to the central exchequer and Rs 7.1 lakh crore to the states exchequer. The total subsidy on petroleum products and natural gas between 2014-’15 to 2017-’18, amounts to Rs 1.7 lakh crore – 9% of the total revenue. Several experts have pointed out that it is time petroleum products are brought under the Goods and Services Tax. But with a lower uniform GST rate across the country, it will mean huge losses to both the centre and the state, which is why it does not seem feasible in the immediate future. State governments are also resisting any move to reduce their taxes on fuel since most of them are battling revenue deficits ever since GST came into force in 2017. Central excise duties have also become a major revenue source and have played a major role in financing social and infrastructure spending. Ranade pointed out that the government has committed to un-budgeted obligations like loan waivers, Ayushman Bharat scheme and others. Moreover, the ambitious target of maintaining fiscal deficit at 3.3% when the promise was 3.0%, is a huge task in front of the government. Under these circumstances, the government is in a tight corner. If any relief is to be given this year, one approach would be to postpone this year’s capital spending to the next year, said Ranade. Dhananjay Singh of Emkay Global was of the view that steps should be taken to stabilise the currency and to cut revenue expenditure to maintain fiscal deficit. India’s import dependence stands at 80% and fuel is an essential commodity. Therefore, the depreciation of the rupee makes crude oil expensive for the country. In this calendar year alone, rupee has depreciated 13%, thus making import of crude more expensive. This article first appeared on Boomlive.